Loading ramp mat horse trailer. 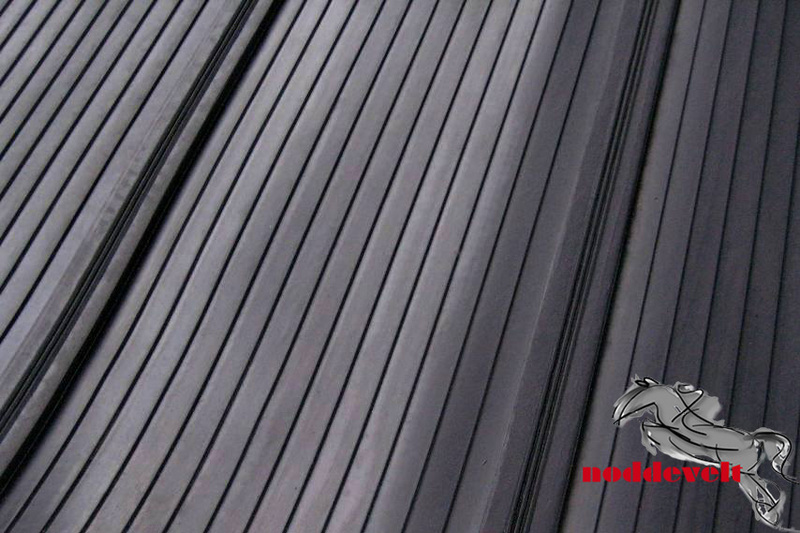 This rubber mat is 8mm thick and 1.55m x 1.75m. 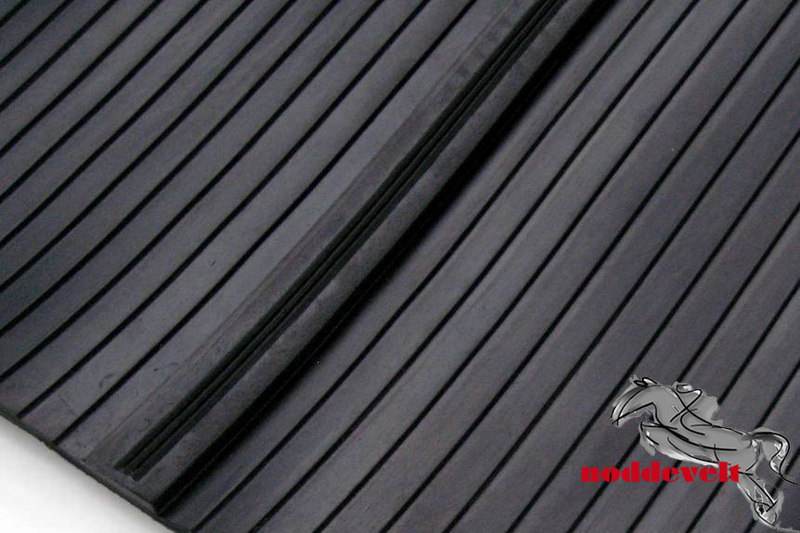 We have a mat completely made out of rubber and specifically intended for the loading ramp of a horse trailer. 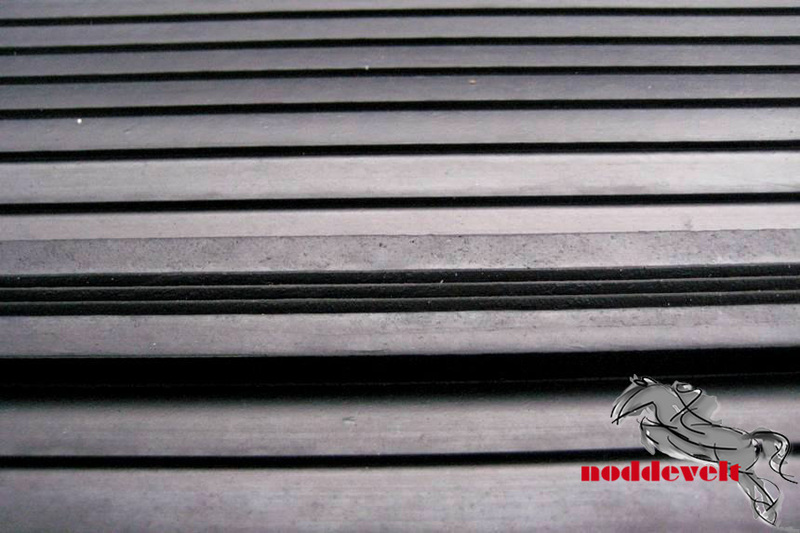 It is easy to custom cut it for any loading ramp. The inserts of the mat provide extra strength. The rubber blocks / laths provide good grip. 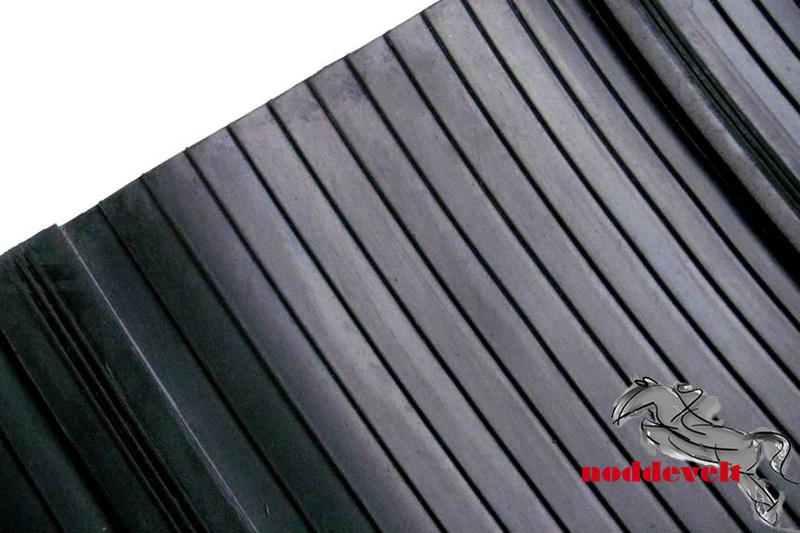 Even when the rubber gets wet, it remains non-slipping. Horses are easier to load, because of the perfect grip while loading. 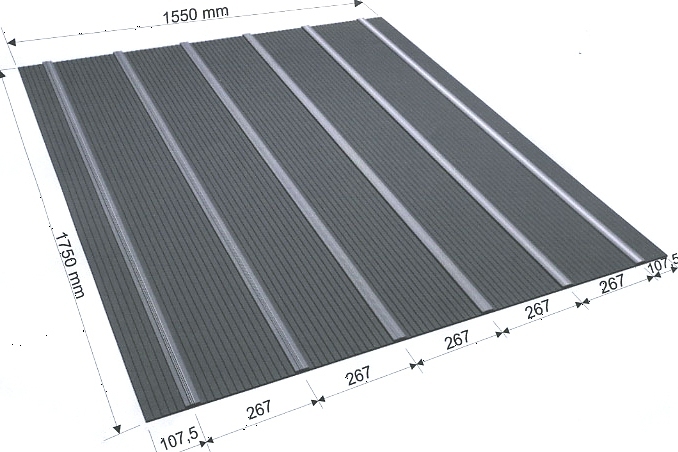 The textile print on the bottom of the mat ensures good adhesion to the aluminum or wooden loading ramp. For the gluing we have special kit and glue in our collection.